While spring has arrived here in Boston it's not feeling quite like spring yet. 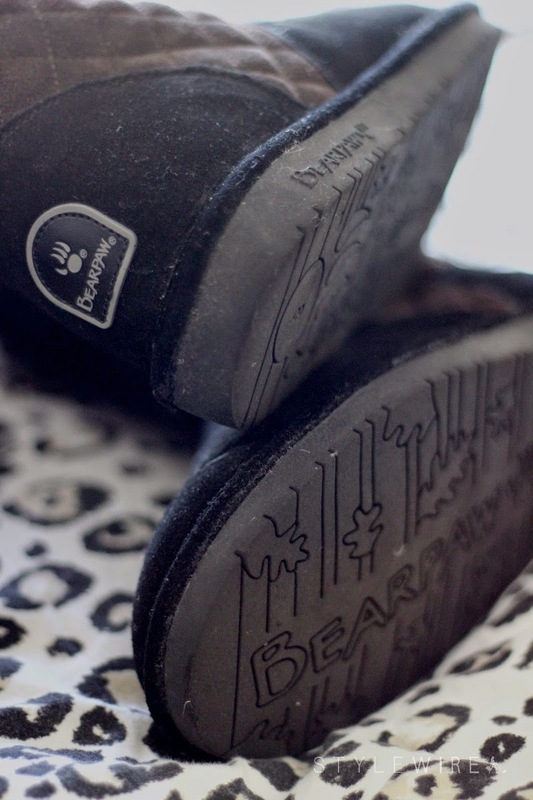 Cold mornings and the potential for another dusting of snow tonight keeps my Bearpaw boots right within reach. I have several pairs of Bearpaw boots but lately I've been wearing the heck out of these Leigh Anne booties. Perfect for morning walks with the dog, running to CVS, or just hanging around the house these short booties have a sheepskin footbed and wool blend lining that keeps you cozy while the quilted suede upper adds a little style. What do you usually wear when you're hanging out at home? I'm kind of obsessed with my Lucky Brand sweats! They fit like a dream.